Not only have construction companies requested it as a means to record site progress for themselves or clients, but event agencies and conference organizers appreciate creating these time-lapse videos to show the various evolutions of their events. 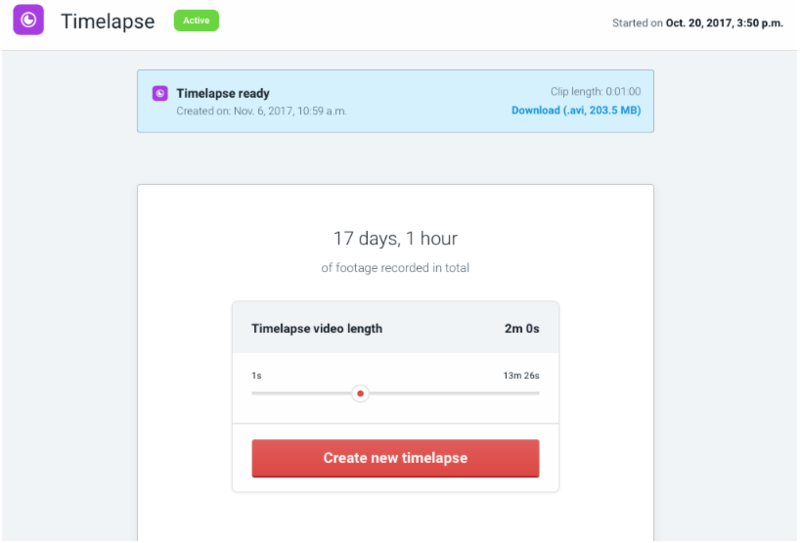 The new and improved Timelapse app is back and enables you to create a time-lapse video from your IP camera. The Timelapse app is available upon request right now, so feel free to contact us if interested and we’ll provide you with more information and price plans. More details about how it works are here.